She was the kind of dog that most shelters wouldn’t have given a second thought to. She walked into the office with her family, grey-faced and with an obvious limp. Fear and anxiety were written unmistakably across her face, and her tail was tucked between her legs. Her ears were pinned back tight against her head, and her head was hung low. Her eyes were soulful and sad, like she had some understanding as to what was about to occur. The odds were certainly and instantly stacked against her once that label was applied to her official paperwork. This was the province where breed-discriminatory legislation ruled and where dogs like her were considered ticking time bombs by the average media-consuming citizen. 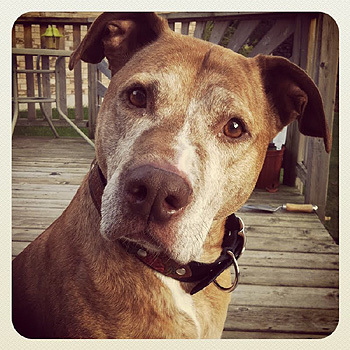 Only two years previous, the liberal provincial government implemented breed legislation that required dogs like Buddy – those with a short coat, square head and whip-like tail – to be spayed or neutered, muzzled and leashed in public. It meant that if a dog like her stepped a toe out of line, she could be seized and euthanized – all because of her looks. But the worst part about BDL is that it took over-reported and sensationalized media reports and made them look legitimate in the eyes of ignorant Ontarians. It turned dogs like Buddy into instant criminals, and their only crime was their physical characteristics. But Upper Credit Humane Society fought hard against the implementation of BDL in Ontario, and they fought hard for its victims. Buddy was welcomed with open and loving arms, with staff and volunteers who saw her as nothing other than the dog she was. Buddy didn’t adjust well to shelter life. She wouldn’t eat or drink, she barked incessantly and was afraid of the slippery floors. She was diagnosed with a torn ACL, age-related incontinence and hypothyroidism. She was considered a senior and had never been taught to wear a muzzle, in accordance with provincial laws. But the biggest obstacle to her finding a permanent home continued to be her breed, and she continued to deteriorate. So the staff made the decision to move her into the office, where it seemed a little more like home. This is where I fell in love with the world’s best dog. I worked in the office at the shelter, and my adopted Boxer mix accompanied me daily due to his severe separation anxiety. Buddy and Obi instantly became inseparable. They shared a bed in the office, played tug and slept with Obi’s head resting on top of Buddy’s. We decided to foster, then we decided to fail. Buddy was adopted. 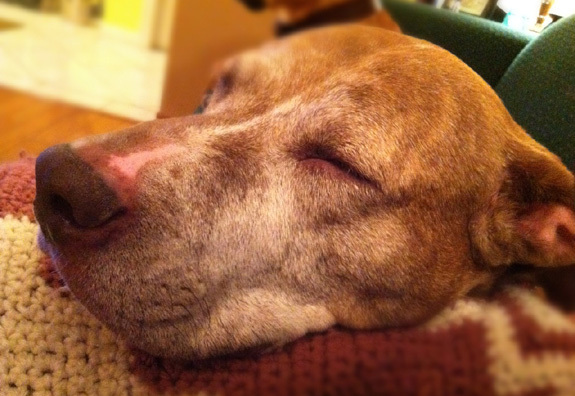 Buddy has proven to be what the majority of us recognize as a “pit bull.” She is soft and kind, gentle and loving. She lives to be as physically close to humans as possible and has no idea that she doesn’t qualify for lap dog status. She gets along well with our cats and adores her brother Obi. She welcomes our foster dogs into our home without reservation. She gives kisses freely and easily, especially to children, and the only dangerous thing about her is her tongue and her tail. Without shelters like Upper Credit, dogs like Buddy would never stand a chance for adoption in Ontario, where pit bulls are considered villains, unadoptable dogs who are surrendered and never leave. Upper Credit and its staff fought BDL before it became law, and they fight it still. And because of them, I get the sincere pleasure and true honor of calling one of these incredibly sweet, tragically misunderstood dogs mine. This has similaries to our dog Rosie who was to be euthanized in Montreal. I think we have to take a look at the dog, not the breed. This puppy is beautiful and I’m glad she found another forever home. @LindaCooper We are glad too. Buddy deserves to be in a loving home. 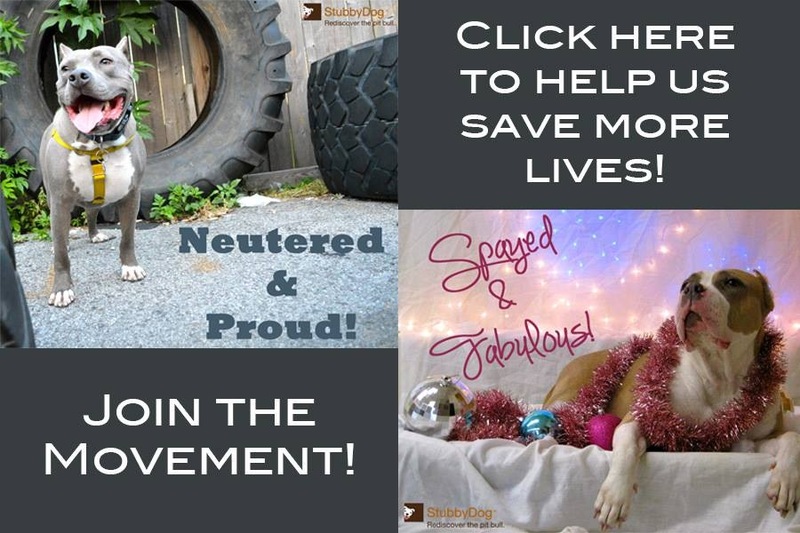 @StubbyDog @LindaCooper This is a great story with a great ending and I just wish that all people could see the benefits of these beautiful dogs. I hope to live in a world one day, that people treat their pets like they treat their most intimate people in their lives….they deserve nothing but the best. We have 3 dogs now and of course, they are the love of our lives. It’s not for everyone but it is for me! @LindaCooper Sounds like a great life for you and your dogs. If you want to share you story with us, we would love that. 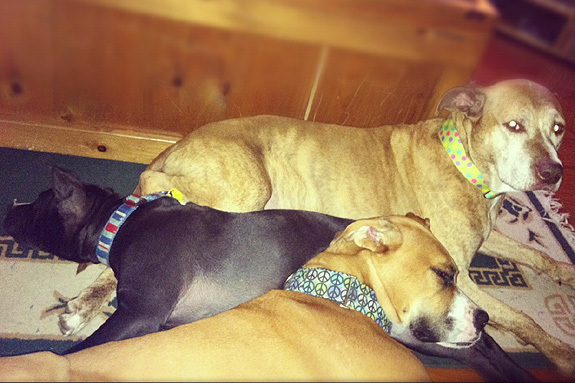 Just write up about your dogs, send photos to [email protected]. Thanks Linda, kisses to the pooches from the folks at StubbyDog! 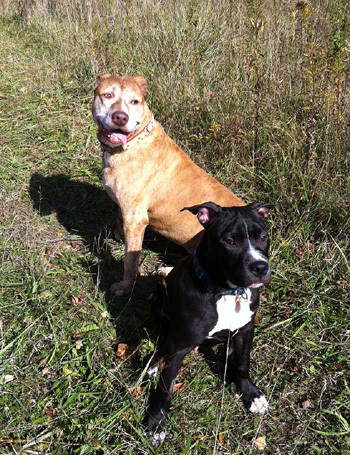 My pit bull, Henry, was abandoned in a neighboring county with BSL in Maryland. He was dumped in a public park. I’m so grateful he’s in my life. I tell him every day that the day his former owner dumped him in that park was the luckiest day of MY life. We have to do away with this horrible legislation. @DCbutterfingers Lovin’ the name Henry!! If you want to share your story about Henry, we would love to post it. Just send an email to [email protected] and send photos too! @StubbyDog @DCbutterfingers I may do that. Thank you. Oh what a lovely story! I can’t thank you enough for rescuing Buddy! What ever is wrong with Ontario? @Judithg We have to continue to fight BDL as long as it exists anywhere. The victory in Ohio just proves it can be done.